Crown reduction is a pruning technique used to reduce the overall height and spread of the crown (foliage bearing area) of a tree. 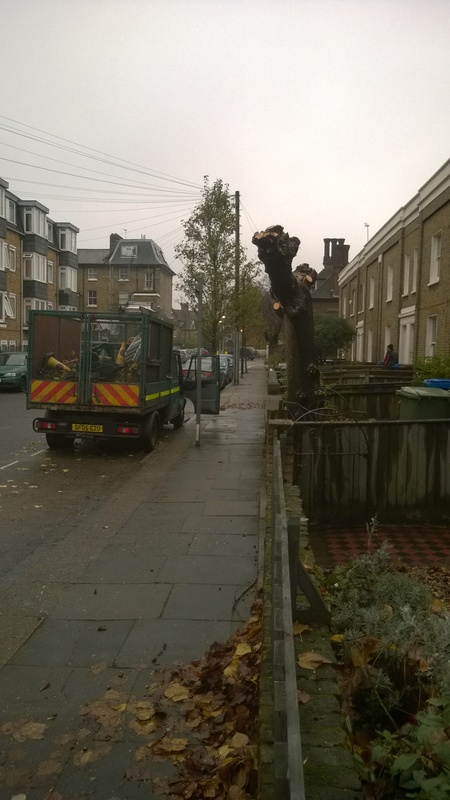 This is carried out using chain saws and/or pruning saws. The usual amount removed is 30 per cent. This amount will then allow the tree to recover and put on fresh growth. Click here for examples of crown reduction. Crown Thinning is a technique used to reduce the density of the branching area of the crown of the tree. 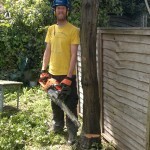 It is also undertaken using chain saws and pruning saws. By reducing the overall volume of branches that make up the crown, this process allows the wind to pass through the crown easier and thus resulting in less stress on the main stem of the tree. Crown Thinning does not affect the shape and size of the crown. Click here for examples of crown thinning. Crown Lifting involves removing the lower part of the crown. It is a practice carried out to give clearance over highways or pathways, to reduce unwanted shade and to prevent branches becoming too heavy and breaking off. 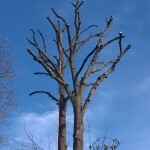 Removal of dead wood and any crossing/rubbing branches prevents spontaneous branch breakage which can result in damage to property and injury to the public. It is generally accepted that 10 per cent will be removed from the crown when undertaking a Crown Reduction or Crown Thin. 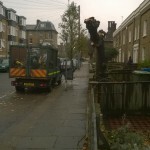 The dismantling of a tree involves the removal of a tree by climbing it and cutting it down to the ground. All the branches are removed and then the height of the stem is reduced by cutting it into hand held sections and lowering or target throwing to the ground. 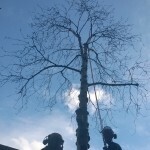 This work is carried out using chain saws, climbing harnesses, ropes and tree spikes. The method of pollarding requires the tree to be cut back hard by removing all of the crown and leaving the main stem. It is usually carried out on young trees to create a particular growth form. Typical species of tree that take well to being pollarded are Lime, Willow, Poplar and London Plane. Pollarding is a traditional method of tree management which enabled branches to be harvested from the pollarded tree on a regular cycle for use as fence posts or for hedging stakes and for the thatching industry. All arisings from tree work are removed. All staff are fully insured and fully qualified.